The above combination start from the 9th April to 27th April and can prove most Venomous it so seems. Not only for US but other Countries also where Mars will Transit in Taurus in the Ascendant, Kendra 4/10 axis 6th, 8th or the 12th house of the Foundation chart of the Country. 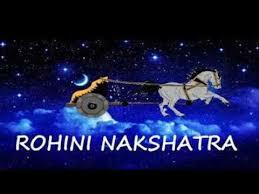 The Countries Prone to this Transit will be US, India, Pakistan,Japan,China,Dubai,Indonesia,Iraq,Paris,Philippines, Malasyia, North Korea so many Countries and there the Eclipses are also taking place and Sub Dasha of a Planet Like Rahu who has the capacity to bring a Down fall for the Country. US is Most Prone to this Combination. For India the Mars in the Lagna and the Saturn, Ketu and Jupiter in the 8th house seems to be most Venomous for the Country, since the Dasha of Moon-Jupiter is in operation and Jupiter is also the Lord of the 8th and the 11th house and in Transit it will be in most afflicted condition.